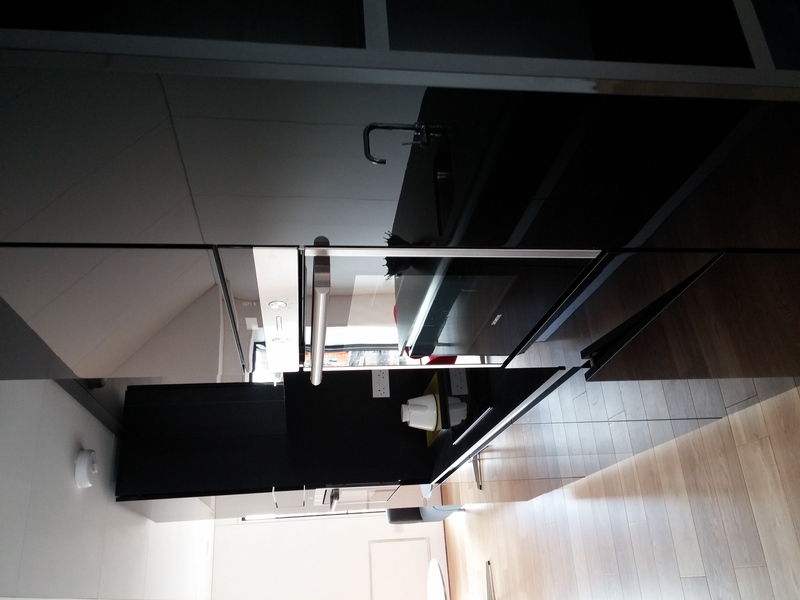 Modern High gloss kitchen furniture for Urban Splash and SIG. At the turn, of 2015-2016 JS Deco have joined another Urban Splash project in collaboration with SIG. This time in Manchester Irwell Riverside. It was a very interesting architectural concept. Houses manufactured in the factory are based on a modular construction then transported and installed to the site. In the matter of the kitchen furniture specification. The core carcases are made from black mat chipboard finished with PVC edging. 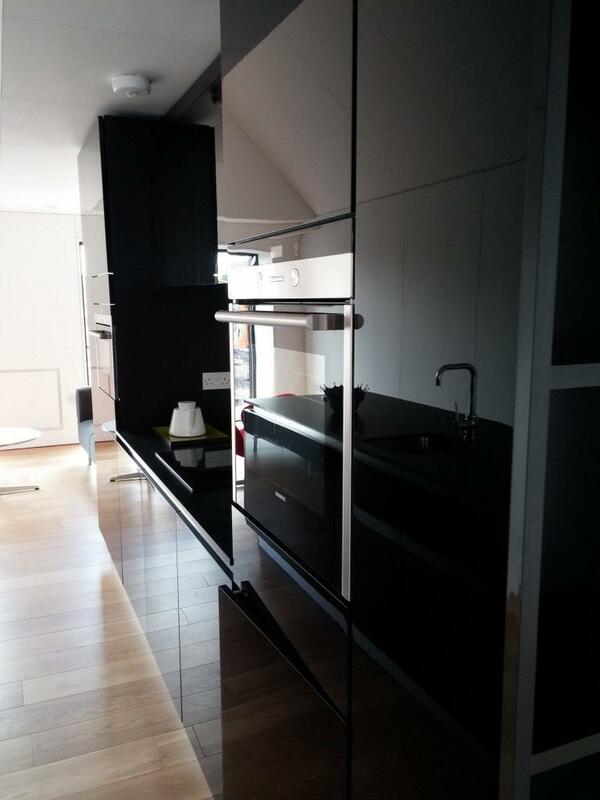 High gloss handleless acrylic doors hanged on the soft close Blum hinges. The set is equipped with the drawer unit, three soft close drawers hidden behind single doors. Some doors are made in the push to open specification and some have overhang and rest on the aluminium profile. 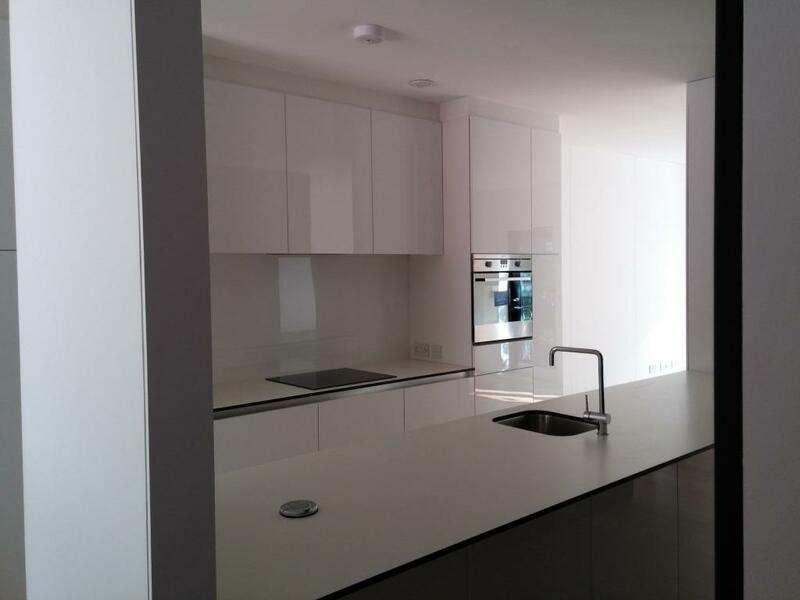 Kitchen has been equipped with integrated appliances: oven, induction hob and microwave made by Simens. Under top fridge, freezer and dishwasher made by Indesit and integrated hob extractor made by Caple. Thanks to large spaces available in this particular construction. 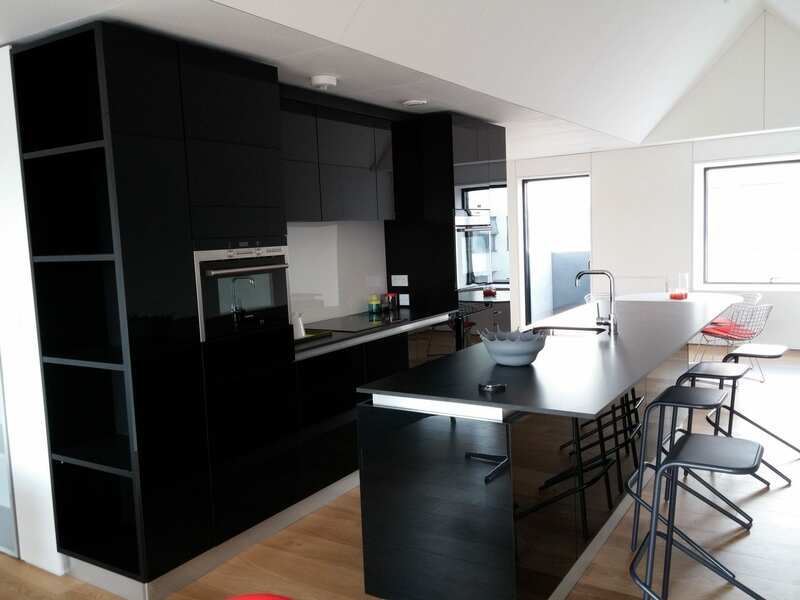 Designers had a chance to implement an attractive modern kitchen furniture layout with the island which makes the room much more practical and ergonomic. 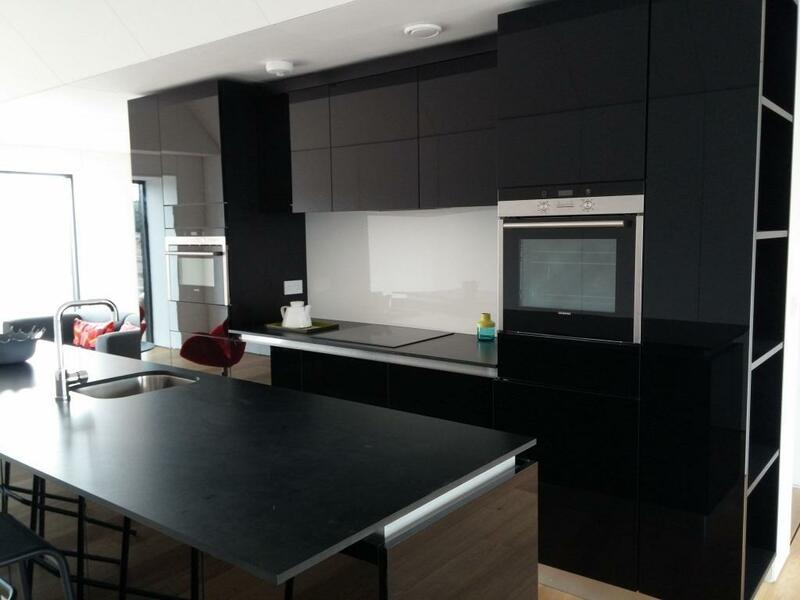 We were responsible for installation all types of furniture contained in a finished house, including kitchens, bathrooms, and wardrobes. We have furnished over 30 houses in this specification, also in white gloss colour with exactly the same shape. If you like this kind of kitchen furniture arrangement feel free to contact us regarding possible design options and valuation. Older PostBespoke corridor shoe cupboard. Newer PostBedroom furniture containing sliding door wardrobe.